Thailand Real Estate Law Center is comprised of a team of Thailand corporate lawyers working together with international lawyers specializing in business issues. The law firm of Chaninat & Leeds is the pre-eminent law firm for small to medium enterprises seeking practical experienced advice on doing business in Thailand. Chaninat and Leeds is a Bangkok-based international law firm handling cases throughout Thailand. Chaninat and Leeds was first established as a Limited Partnership in 1997 by Thailand and American attorneys with decades of litigation and consulting experience. The firm was later incorporated as a Limited Company in 2001. The firm was originally located in the Nai Lert Building on Sukhumvit Soi 5. Due to expansion, the firm relocated to a larger office in the Trendy Building on Sukumvit Soi 13 in 2008. 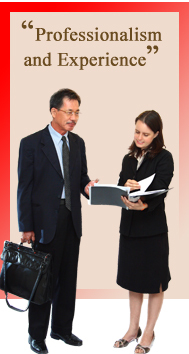 The firm is entirely attorney-owned and is operated by qualified attorneys. Chaninat and Leeds’ practice adheres to Bar Association Codes of Conduct and Professional Responsibility. Our focus is on providing dedicated professional services and maintaining long term relationships with our select clientele. We often provide litigation services and consultant services on Thailand legal matters to law firms, courts and agencies throughout the world. We provide Thailand based corporate clients with assistance in their businesses and projects within Thailand as well providing assistance to private individuals with legal matters in or concerning Thailand. The objective of this website is to provide some basic background information to Thai companies and foreign business owners in Thailand regarding Thailand business laws.